Laurel Hill is a small playground, but what some might call small, others will call cozy! It has a well-maintained play structure and sand pit geared for younger children, tennis court, baseball field, a full basketball court, and a rec center! 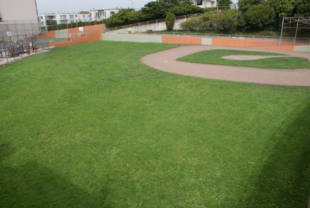 There are bathrooms available on-site and plenty of benches to rest your feet while you watch your kids play. Dogs are allowed on a leash only. 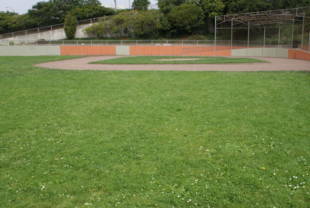 Laurel Hill Playground is owned by the San Francisco Recreation and Park Department. California and Laurel stop; walk south down Laurel to Mayfair, bear right onto Collins, one block to the park. 38-Geary -- Geary and Collins stop; walk north. 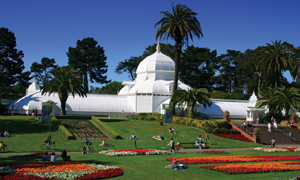 Call 415.666.7007 for more information on classes/activities the playground. Child Development and Family Studies Dept at CCSF at 415.239.3172.